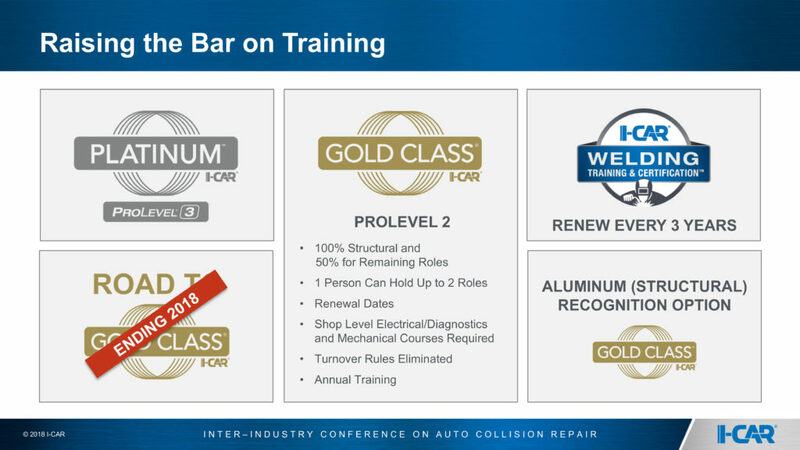 I-CAR on Wednesday announced a sweeping change to its curriculum next year that will include more frequent welding recertification and tougher Platinum and Gold Class requirements. 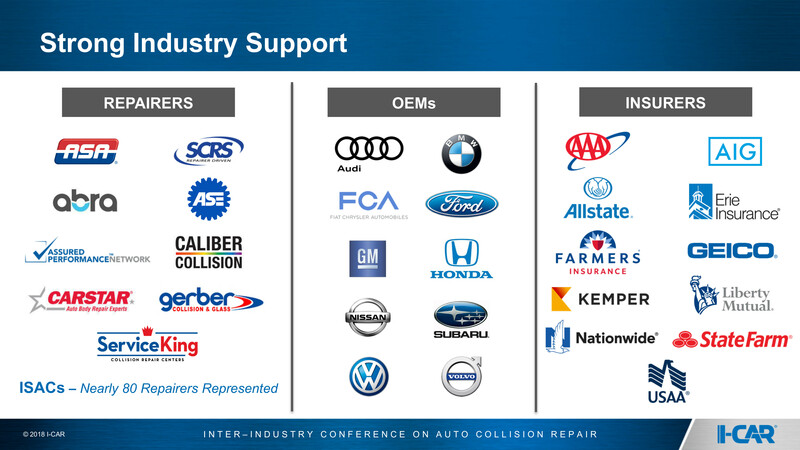 The initiative years in the making was meant to “advance I-CAR’s vision that every person in the collision repair industry has the information, knowledge and skills required to perform complete, safe and quality repairs for the ultimate benefit of the consumer,” the educational organization wrote in a news release. Welders certified through the I-CAR program will have to reverify their skills every three years instead of every five years, but the training organization is “no longer requiring course repeat when skills are reverified,” according to I-CAR. These welding skill checks will be performed during what will be annual I-CAR assessments of Gold Class shops. Besides checking the welders at the three-year mark, the organization will see what knowledge is lacking among a shop’s technicians and prescribe a course of training, sales and marketing Senior Vice President Nick Notte said Wednesday. I-CAR also said it would introduce “Heightened Platinum and Gold Class requirements aligned with industry benchmarks and repair requirements.” It also plans to create a new optional Aluminum Structural Gold Class recognition. Van Alstyne said that going forward, all Gold Class shops must have at least 100 percent of structural technicians reaching ProLevel 2. Half of the employees within each of the three other role categories (estimator, painter and nonstructural technician) at the shop must also reach ProLevel 2. Van Alstyne said the reason for the change — previously, a shop could make Gold Class with a staff at ProLevel 1 — involved the fact that the “minimally required skills courses” were housed in ProLevel 2. It was important for a technician to have the “fundamental knowledge” of ProLevel 1 and the “foundational skills” of ProLevel 2. No longer can a single person represent all four roles necessary for Gold Class (Estimator, Non-Structural Technician, Steel Structural Technician, Refinish Technician), either. I-CAR will only allow a maximum of two categories per person to count. Finally, I-CAR will throw out the “arbitrary ‘X number of hours'” requirement of six hours a year and demand specific vehicle-specific training relevant to a specific role, as well as any new courses required for the role, Van Alstyne said. I-CAR will offset these additional demands upon Gold Class shops with changes meant to make classes more affordable and accessible for the industry. A new “unlimited training subscription” option for Gold Class shops will offer shops budgeting predictability and end the concern that money spent training a technician will have been wasted if the tech leaves. Notte said repairers can continue to pay for training a la carte as well should they wish. I-CAR strategic development Vice President Ann Gonzalez said the average shop today had about nine technicians. I-CAR would charge $230 a month for the shop itself and $35 monthly per each tech, “a very affordable solution,” she said. That means the average shop would pay $6,540 annually for all-you-can-eat training — which includes welding assessments. Shops which haven’t achieved Gold Class can’t do subscription pricing. Gonzalez said the rationale was that the non-Gold shops each had a different amount of training to do. She said I-CAR encouraged Gold Class shops to subscribe because it allowed the training organization to build in efficiencies in scheduling and traveling to the shop. It’s courses will typically be shorter and less redundant, and the overall curriculum will offer both “more hands-on live training” and “more online courses with increased interactivity, all leading to less time out of the shop and off the floor for technicians,” according to I-CAR. Asked about pricing for a la carte classes, Gonzalez said the shorter courses mean “pricing’s gonna change significantly.” Online courses were much cheaper than live demonstrations, she said. 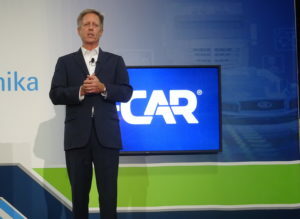 However, I-CAR curriculum and product development director Josh McFarlin noted that I-CAR’s plan to offer more hands-on skills development and interactivity meant some classes would be more complex to deliver and carry a higher cost. Other I-CAR initiatives will provide some savings for a non-Gold shop striving for Gold Class. 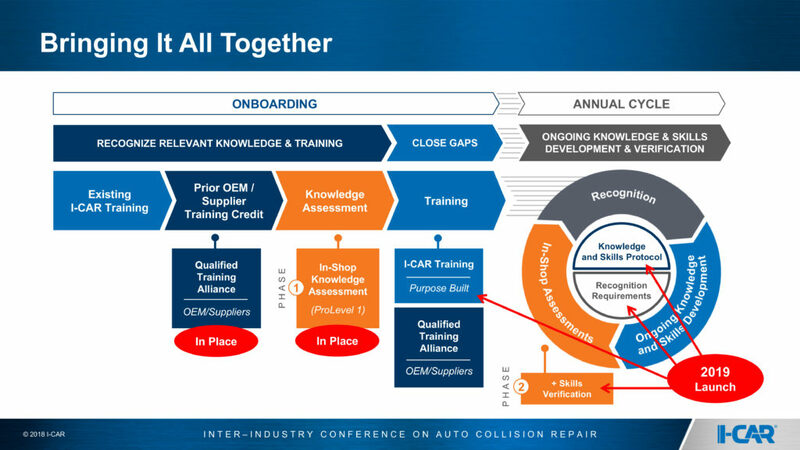 The organization plans to improve its process of allowing Alliance training (such as a paint manufacturer’s class) to count for I-CAR credit. Finally, the educational organization also plans to offer all core classes necessary for Gold Class status and all vehicle-specific technology courses in Spanish in 2019, a move demanded by repairers and, realistically, by changing demographics in the U.S.
I-CAR will also offer the welding certification in Spanish as well, using either a bilingual teacher or by allowing the welder to bring a translator, according to McFarlin.